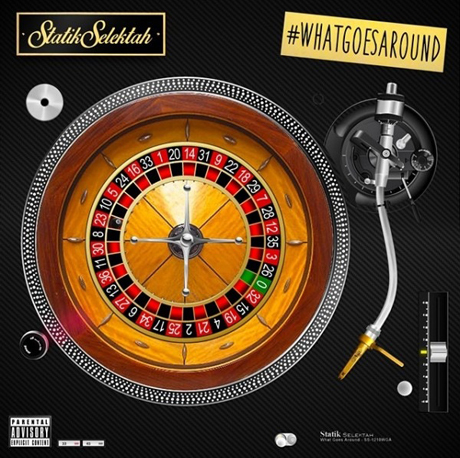 New York producer Statik Selektah tapped Action Bronson for a pair of guest spots on his upcoming What Goes Around LP, having teased the set earlier with a preview of the Bam Bam-assisted "The Imperial." With the record's August 19 due date through Show Off/Duck Down just ahead of us, Statik has unveiled the other track featuring Bronsonlino, "Long Time." Playing to Bronson's forte, Statik floods the cut with a soulful piano line, dramatic flourishes of brass and a steadfast boom bap. The rapper pays the producer back with confidently swaggering bars about making paper, staying high until the day he dies, and being one rap's chosen ones, "gold, like the hair on Hulk Hogan." Chauncy Sherod of CharlieRED adds some from-the-gut crooning on the back end. You can check out the tag-team joint, potentially keeping it on repeat for a long time down below.